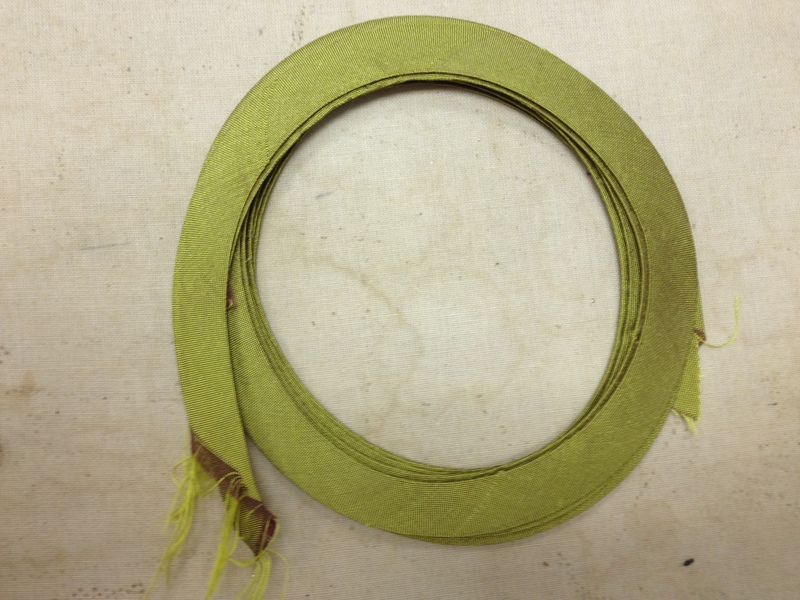 There’s a thing milliners do to to petersham ribbon before applying it to the edge of a brim. The term I know for it is “swirling”. 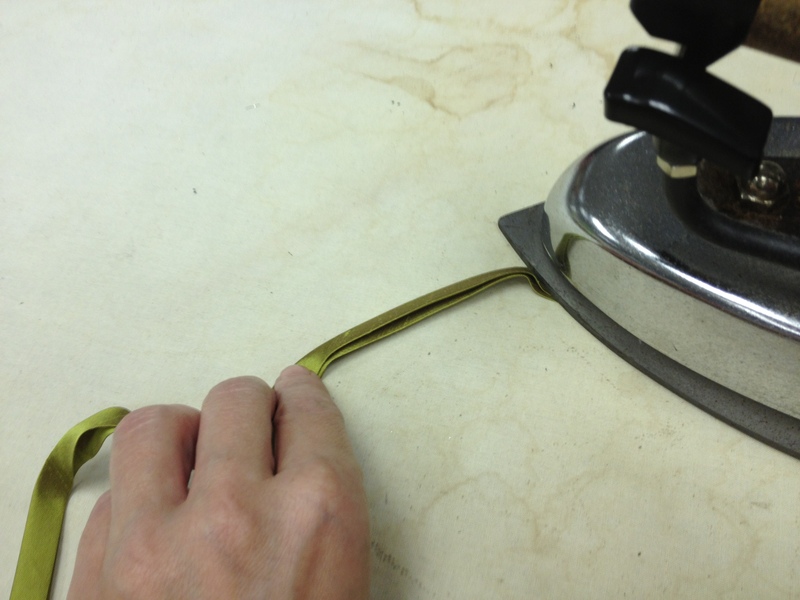 It’s a magic trick with an iron that turns your straight piece of petersham into a curved piece of petersham, making it infinitely easier to smack it around the curved edge of a hat brim. It’s one of those preparation things that my millinery teacher was pretty adamant about. I’ll be blunt: I’m not the biggest fan of prep steps. I only do them if they actively make my life easier and my finished work better, without taking up a lot of time. This one, I will do every time I have to bind rounded tabs, from here until the time I die. The problem: when you try to put straight bias around a tight curve, it doesn’t want to lie flat no matter how hard you stretch it. 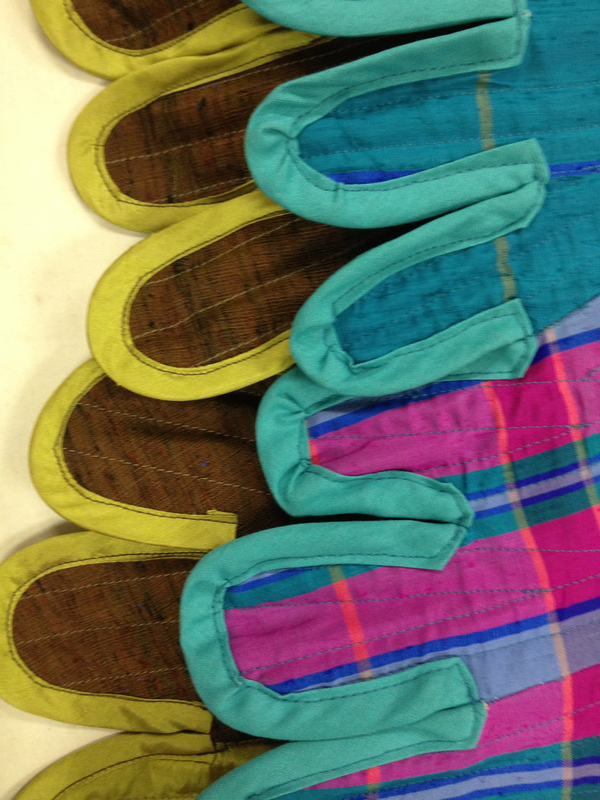 This leads to little puckers and tucks in the bias when you sew it. I’m starting at the very end of the bias tape. As I iron, I’m always pulling the bias to the side of the iron (instead of the normal straight-pressy-flaty ironing motion). As I go, the iron is always chasing that bias. 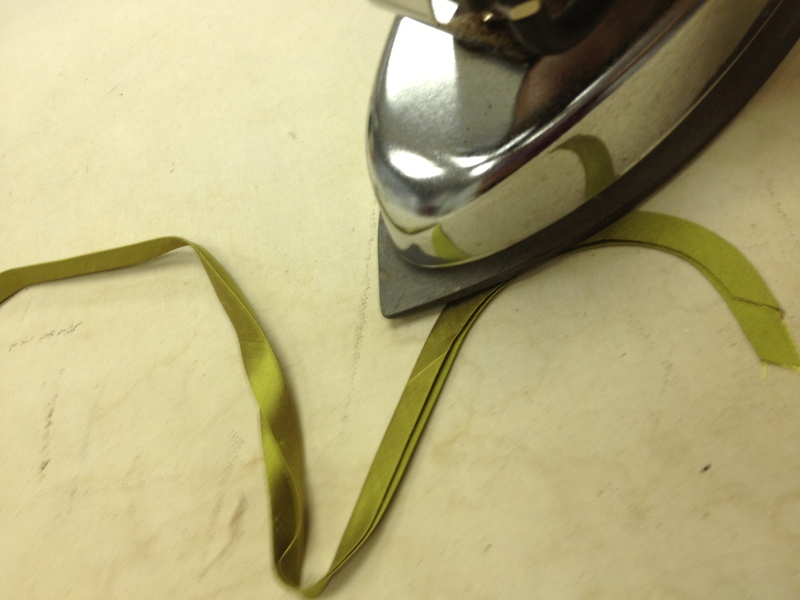 I’m effectively ironing in circles, leaving me with bias tape that is ironed in circles. 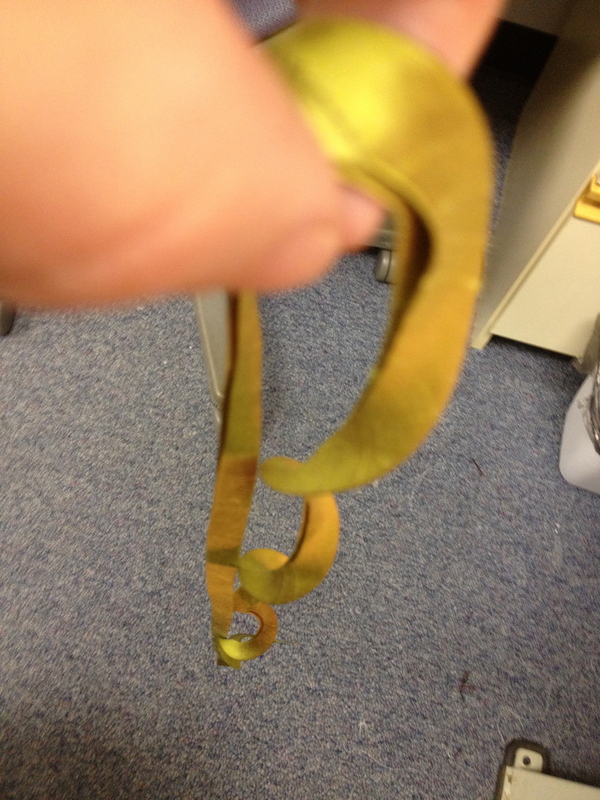 Now I have a roundular piece of bias tape. 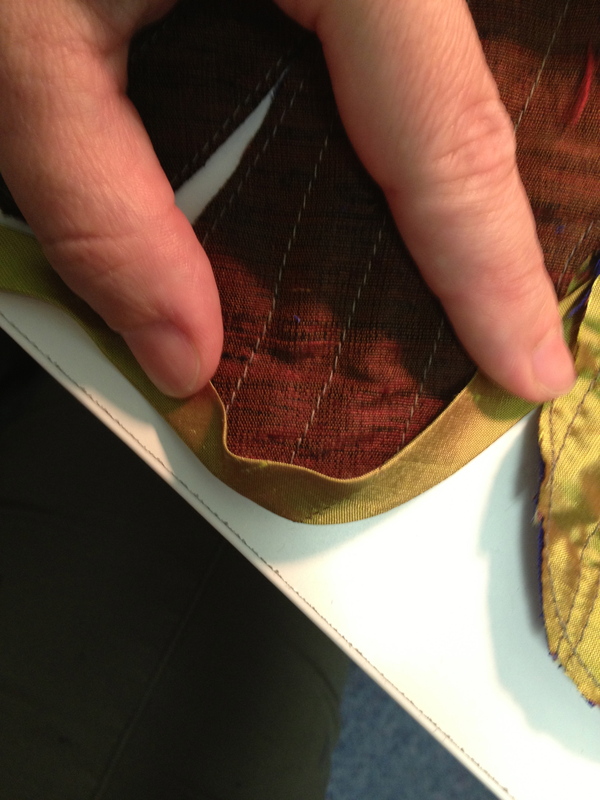 The outside edge of the swirled bias (right side) is permanently longer than the inside edge. It will not want to be straight ever again. Now when I go to place the binding around a tab, there’s very little puckering. 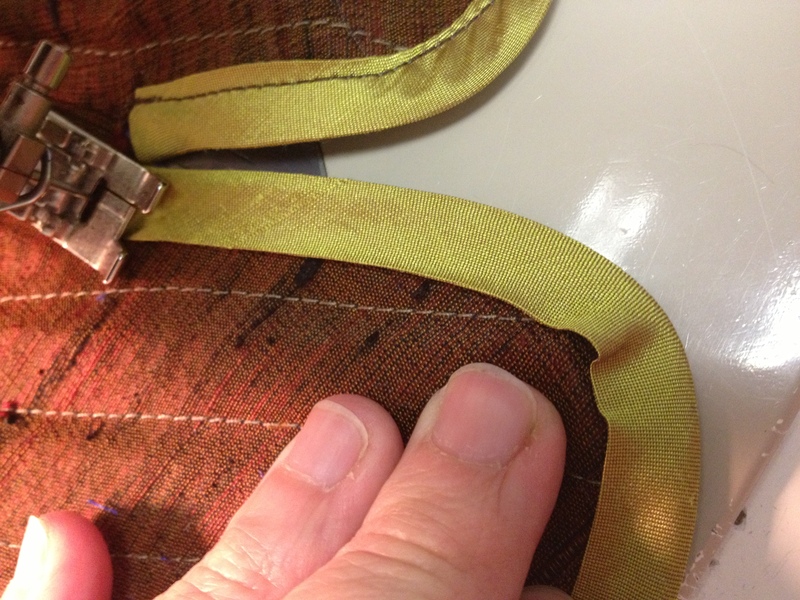 What is there can be flattened with a seam ripper while sewing. Voila! No puckers and tucks! 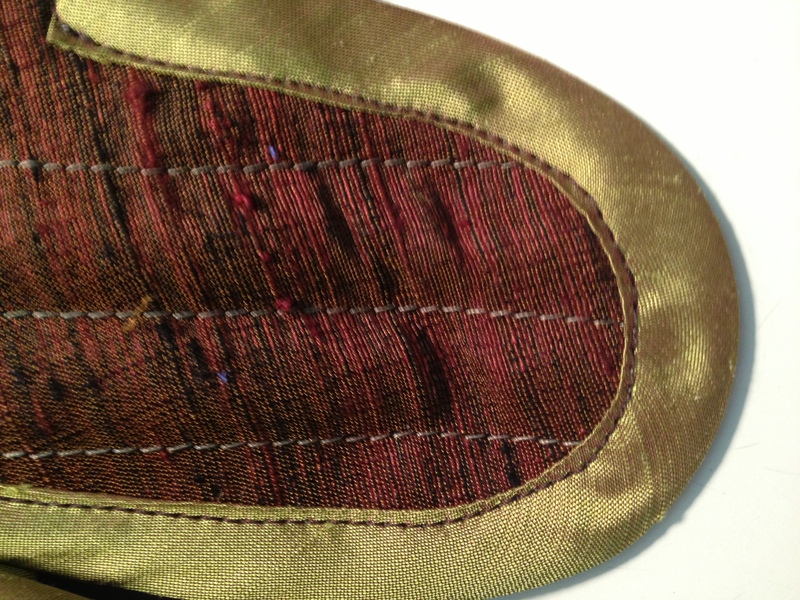 My stitches are woefully uneven here. :( Don’t judge me! 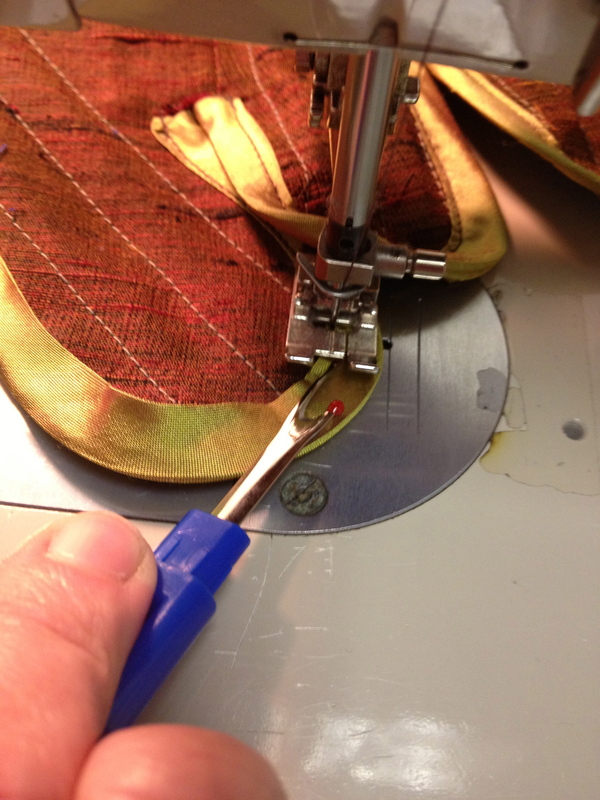 So, ye sewing denizens of the interwebs, free yourselves from the shackles of the straight bias! Take off your drunken mittens, and bind your tabs ease and a relative minimum of cursing. Next A Pretty Little Learning Experience…. THIS IS EARTHSHATTERING!!! Thank you!!! Hi, Kelsie – I gotta tell you, I’m still trying to sort that. I can do it in leather (ahem, chamois), which is nice and stretchy and wants to work in both directions. There is a lot of evidence for this in corset history. Fabric is dicier. 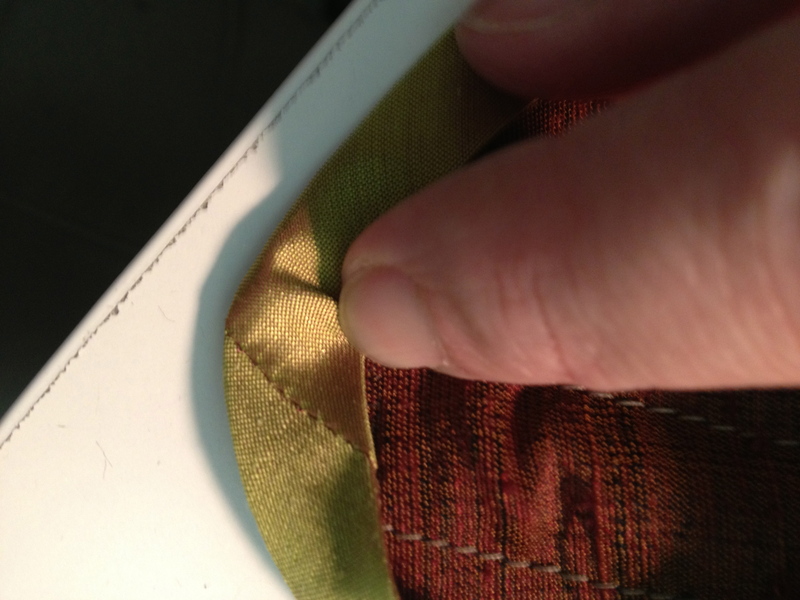 Theoretically, you could swirl the tape in the generally direction of your sewing, do a hulk-strong-pull-smash-flat on the reverse curves, then steam it all into complacency… Except that that has never worked for me. :( Perhaps someone with a working method would care to comment? Please? Because if you have a working method, I would love to know. I hate the look of the tape stopping and starting, and also, the process is somewhat straining on the patience. Oh, lord…. I can’t imagine turning that!